This article originally appeared on Landscapes News here. The UN Decade on Ecosystem Restoration, approved by the General Assembly on 1 March, will run from 2021 to 2030 and emphasize scaling-up of restoration work to address the severe degradation of landscapes, including wetlands and aquatic ecosystems, worldwide. It will likely boost landscape restoration work to the top of national agendas, building on a public demand for action on issues such as climate change, biodiversity loss, and the resulting impacts on economies and livelihoods. "These things need to go in parallel. There’s a clearer understanding of that now, and the broad movement for restoration now has many years of experience,” he added. UN Environment will work with the Food and Agriculture Organization of the UN(FAO) to lead the implementation of the Decade. The concept for the Decade grew from a proposal by El Salvador, a Latin American leader in environmental efforts, to pool global resources and dedicate 10 years to promoting restoration. During a pivotal Bonn Challenge event in March 2018 held in Foz do Iguacu, Brazil, El Salvador’s Ministry of Environment and Natural Resources urged the international community to support a decade dedicated to landscape restoration. The ministry alongside former head of UN Environment Erik Solheim continued to push for the Decade at another GLF event in Nairobi in August, a direct prelude to the Decade’s proposal being made public in September at the UN General Assembly in New York. Land degradation is estimated to cost the global economy between USD 2 and 4.5 trillion each year, while economic benefits of restoration efforts could annually reach an estimated USD 84 billion. At least 7 million hectares of tropical forest landscapes are cleared and degraded each year, putting livelihoods, biodiversity and food security at risk, while exacerbating climate change, conflict and human migration. The Decade also targets coastal and wetland areas, which have been declining even more quickly than terrestrial ecosystems. Coral reefs are projected to decline by a further 70 to 90 percent with a 1.5 degree Celsius rise in global warming, having massively detrimental effects on biodiversity, the global economy and the atmosphere. Increased funding could implement and expand projects to restore ecosystems, reverse land degradation and biodiversity loss, and shore up country-level efforts to meet elements of the 2030 Agenda for Sustainable Development and the Sustainable Development Goals (SDGs). The Decade will accelerate existing restoration goals, such as the Bonn Challenge, which aims to restore 350 million hectares of degraded ecosystems by 2030, at an estimated cost of about USD 800 billion. 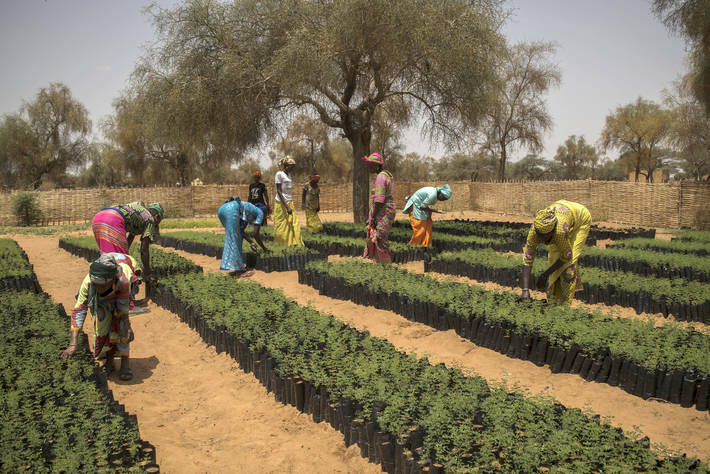 To date, some 57 countries, subnational governments and private organizations have committed to bring more than 170 million hectares under restoration. It builds on regional efforts such as Initiative 20×20 in Latin America and AFR100, the African Forest Landscape Restoration Initiative, which aims to bring 100 million hectares of degraded land under restoration by 2030. Ecosystem restoration is fundamental to achieving the SDGs, particularly on climate change, poverty eradication, food security, water and biodiversity conservation. It is also a pillar of international environmental conventions, including the Ramsar Convention on Wetlands and the three Rio Conventions on biodiversity, desertification and climate change.